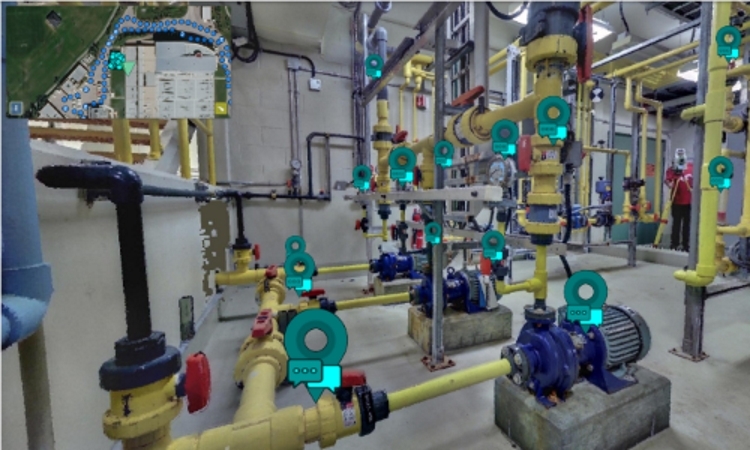 SiteVisit360: A web-based platform that enables users to quickly and effectively obtain situational awareness of their Area of Interest (AOI) and assets. 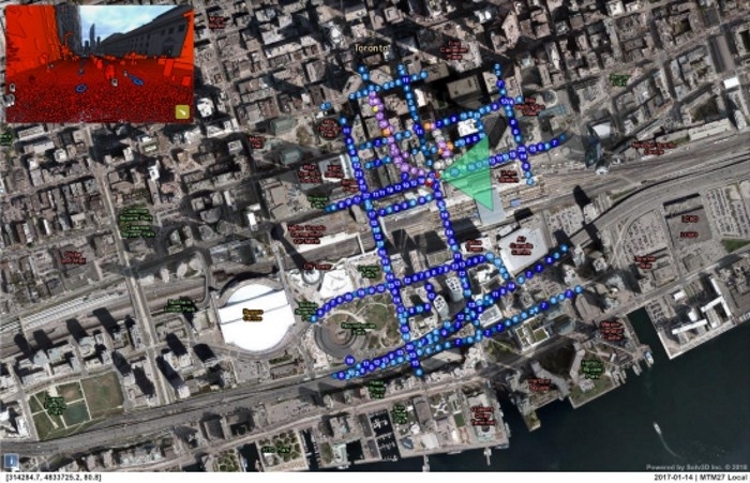 Bringing together a myriad of geospatial datasets, a wholistic view can be created in which visualization and collaboration between team members is intuitive and easy, yet incredibly powerful. A simple interface providing access using only a web browser, SiteVisit360 rapidly expands the participation from a limited set of users to an entire enterprise - barriers based on physical location or software expertise no longer apply. 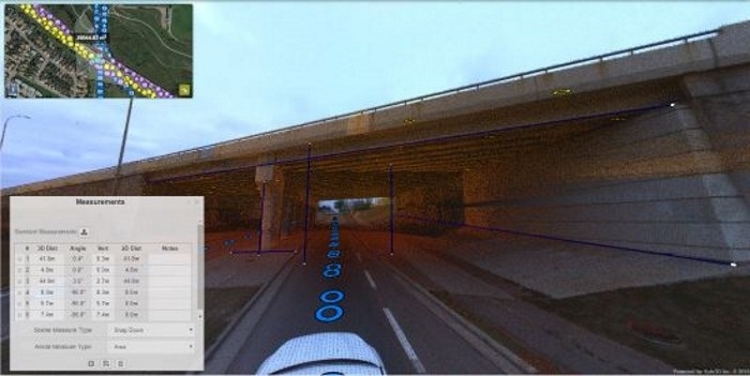 Scene View and Aerial View allow the user to quickly toggle between a panoramic view and a top down aerial view. 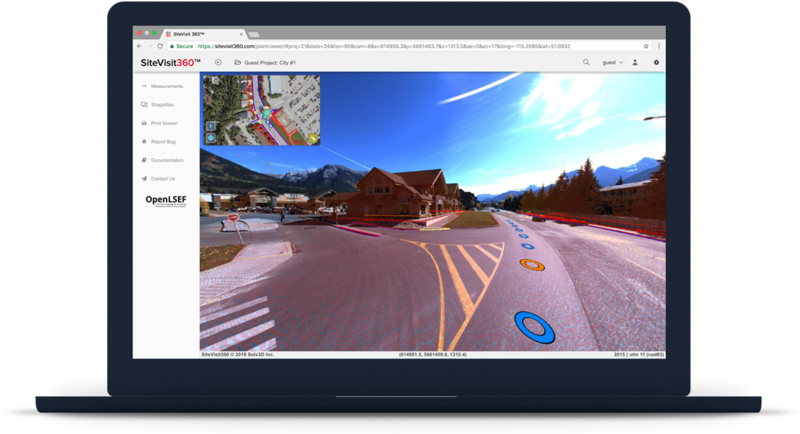 Within SceneView, users can easily switch between point cloud or panoramic imagery, or even merge the two together into a single view. 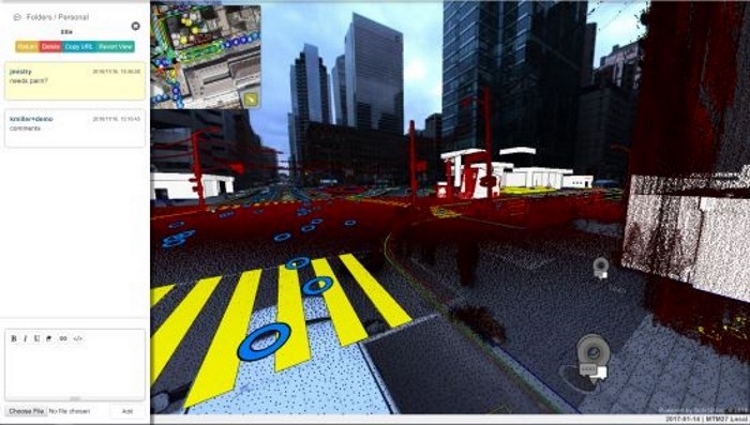 This detailed, street-level view allows users to focus on a specific Area of Interest (AOI). AerialView provides a top-down perspective and enables the user to visualize a much broader expanse. Using ortho imagery and aerial LiDAR, as well as the ability to integrate OGC/Esri streaming data services and Esri ArcGIS Online (AGOL) maps. Allow multiple team members to simultaneously conduct site walk-throughs without having to travel. Working with your own data, SiteVisit360 enables you to share proposed designs and information with your team, providing a more effective collaboration experience. Project teams in different locations can improve project efficiency while maintaining decision integrity. Users work together in a single interface with visual information driving the conversation. 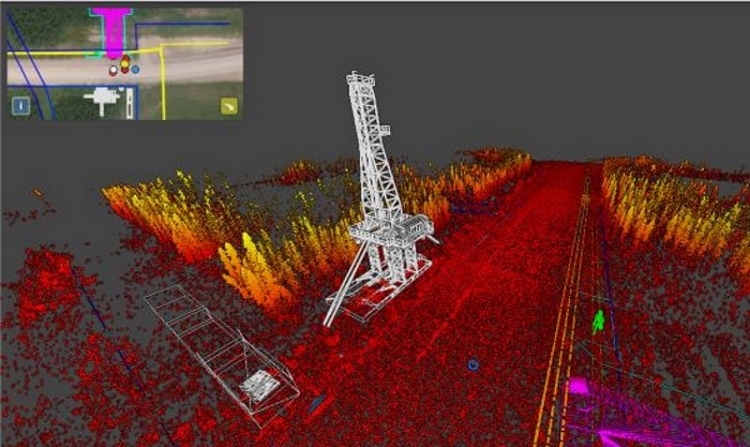 Perform simple measurement functions in SceneView and AerialView to quickly determine rough estimates. Make notes, save and share these measurements with other users. Off-site teams can make measurements to size up areas and determine positional fit for assets on-the-fly: anywhere, anytime. Use SiteVisit360 to quickly check how designs will fit into a project area simply by loading your own 3D DXF/SHP format files into your browser and seeing them laid over panoramic photography and 3D scan data. Easily identify potential issues that may affect your project’s viability and cost. Through our Collection Discussion feature, drop 3D pins at points of interest to rapidly catalog or bookmark locations that need to be tracked or require associated information. Add conversation threads, upload documents, make annotations or connect to external systems - all to create a robust and detailed record of each point. We're happy to set you up with an Evaluation Account - just ask!